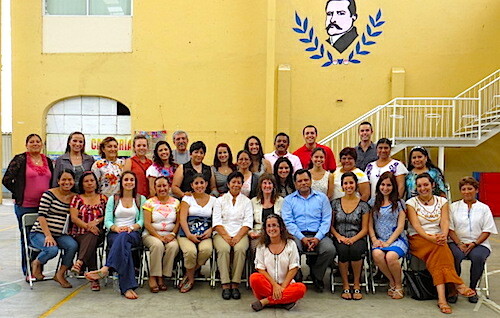 Gregorio Chavez Elementary School proved to be a perfect first partner for CLASS EL. 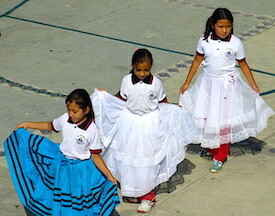 Their emphasis on culture and the voice of their youth was entirely consonant with our own. 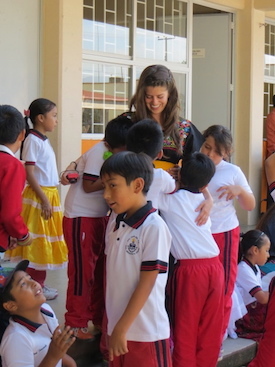 Warm and inviting, the school soon took to us, and we to them, to became a closely-knit team. 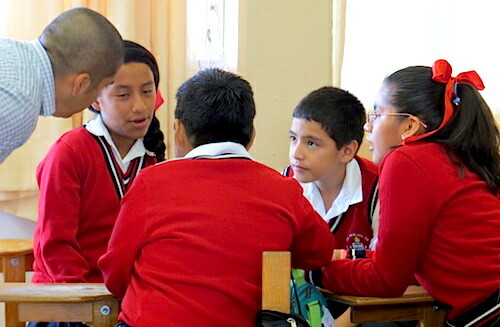 Intervention work in classrooms involved introducing collaborative learning, listening to one another’s ideas and feelings, and making decisions together as a group. 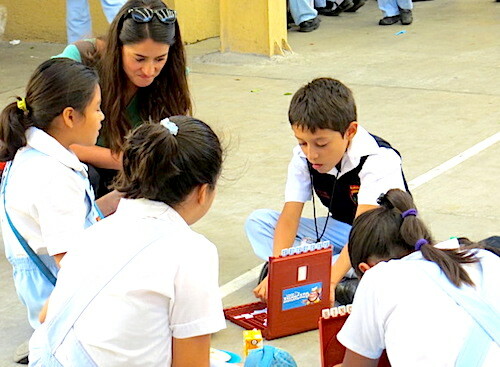 Learning math brought success and fun. Jessica and Alex ran a group supporting math skill development. 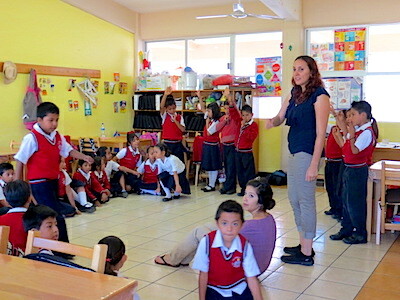 Caroline and Vicki worked with the second grade classroom on expressing themselves and responding with respect. 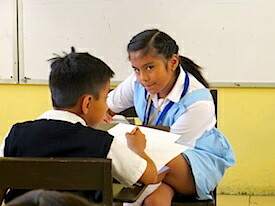 Small groups and whole classrooms engaged in the work. Ready to share their ideas and methods, students participated with excitement. 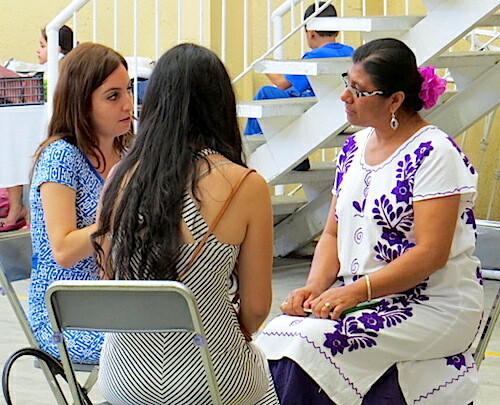 Graduate Assistants Evelyn Ontiveros and Amanda Estrada worked tirelessly to support the efforts at Abraham Castellano. 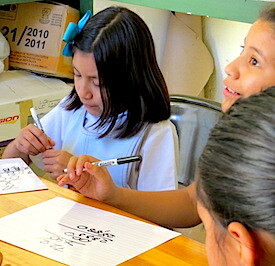 Here, Evelyn and Amanda sit on the steps as they put finishing touches on their school-wide workshop. 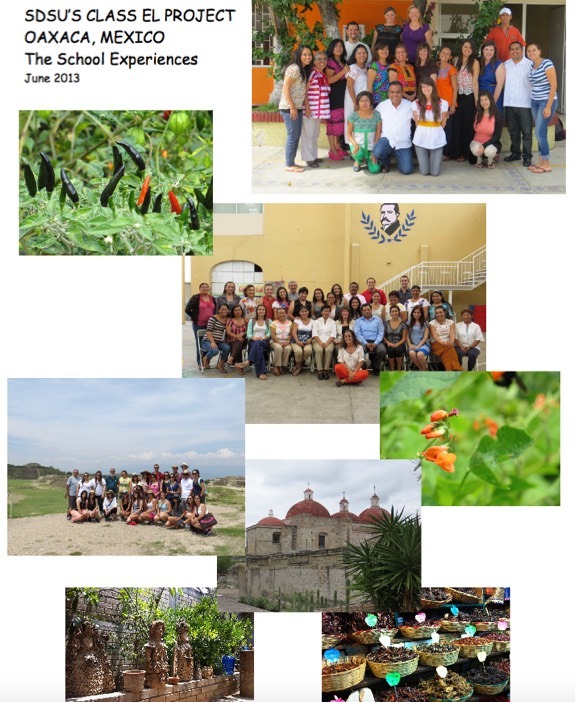 Their needs assessment indicated that the teachers and students would benefit from a community building project that supported their theme of "Respect." Faculty Supervisor and Project Evaluator Dr. Alberto Ochoa takes a break to enjoy sharing a book with a young student at Castellanos. His expertise helped support the larger emphasis of the school on Critical Pedagogy through lectures, advising, and workshop support. 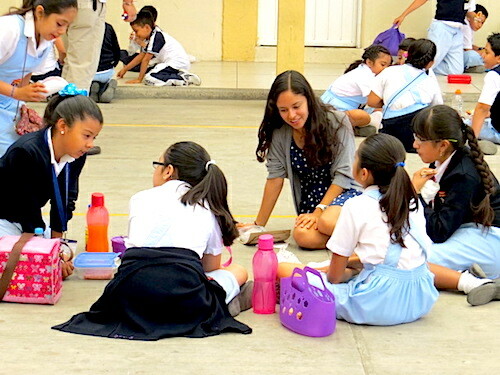 Project Coordinator Yolanda Barba interacts with one of the small group projects on site, listening intently while students share their ideas. 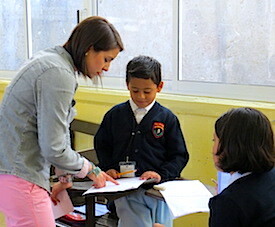 Final intervention findings and reports are shared orally with teachers. 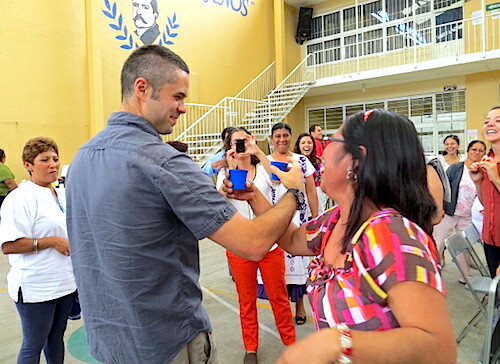 In their final week, SDSU Scholars facilitated parent and teacher workshops.
. . . and celebration follows! 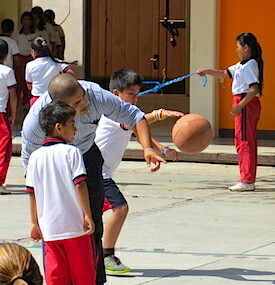 David supports inclusion of one student through playground activities. 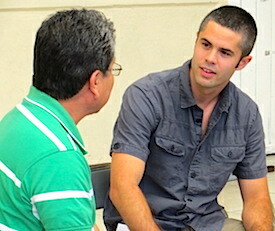 SDSU teacher scholar supports an individual during whole class intervention. 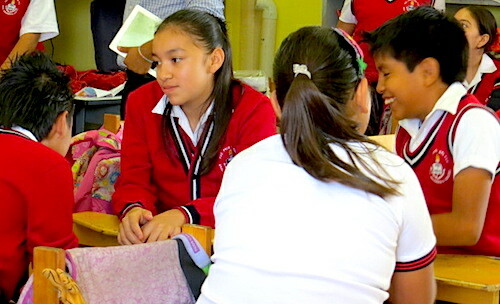 Eager faces and focused young minds light up the room. 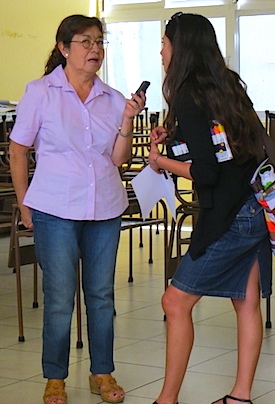 Project Bilingual Coordinator Yolanda Barba is interviewed by a local news reporter. 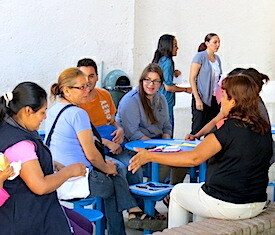 SDSU scholars meeting with a parent. 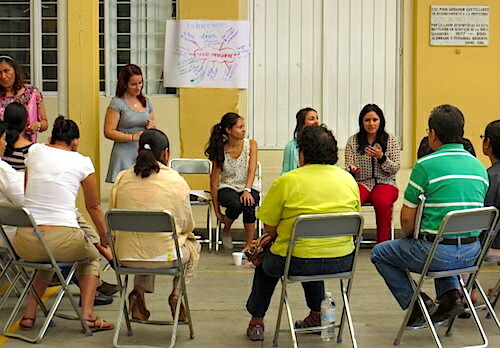 At Gregorio Chavez School, a room full of parents comes for a follow up workshop to learn more about problem solving with their children and enhanced relationships with the teachers. 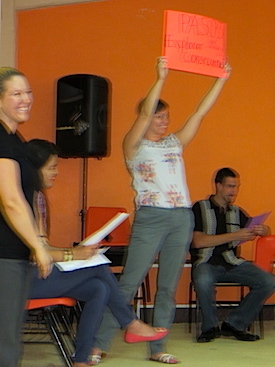 Team members Caroline, Jessica, and Vanessa act out a skit illustrating a problem-solving process while Project Coordinator Amy Clarey holds up a cue card for the audience and Project GA Christine Benton cheers them on. 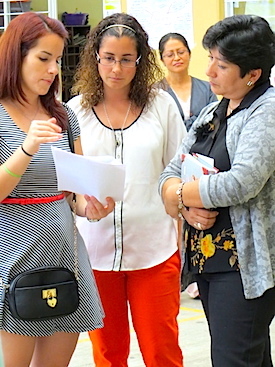 Parents then “dig in,” using the cue cards and processes modeled. 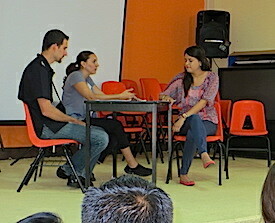 They develop their own skits to illustrate new ways to handle touchy parent-student situations, and then to communicate their ideas with the teachers. 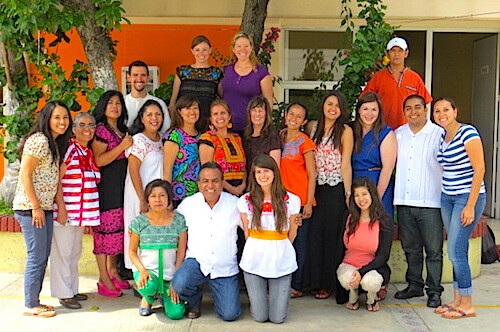 SDSU Scholar and students saying goodbye.